Our glazed porcelain 50th anniversary cake top is in the shape of an abstract heart with a pair of sculpted roses at the top. The 3 1/4" diameter base will safely stand at the top of a cake, near the guest book, or as a sweet place holder for the anniversary couple. 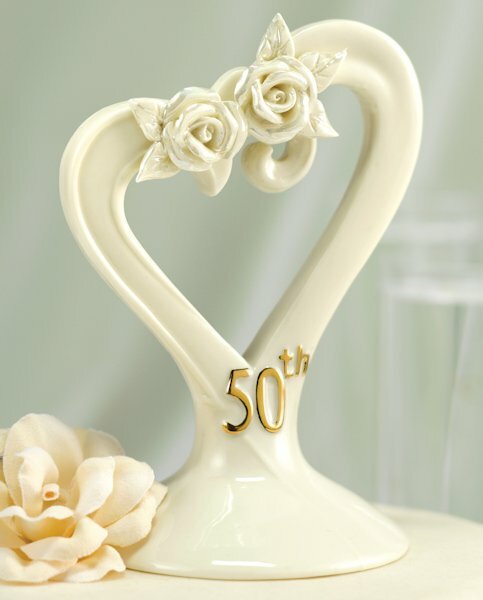 The bottom of the heart shape includes a golden "50th", cake top stands 5 1/4" tall.